LOUISVILLE, KY – This week I am a delegate representing First Baptist Church at the oldest and largest assembly of African-American Baptists in our state. Better known as the General Association of Baptists in Kentucky. Kentucky has a unique system that may be one of a kind in the nation. It’s not a state convention, it’s a general association, composed of district associations and churches from throughout the Commonwealth. As an organization, it is not affiliated with any national convention. Therefore, you have churches that are from six different stripes – independent (no national affiliation), National Baptist Convention, USA, Inc., Progressive National Baptist Convention, Inc., National Missionary Baptist Convention of America, National Baptist Convention of America, Inc. International, and Full Gospel Baptist Church Fellowship. Not to mention some churches are aligned with Southern Baptist and American Baptist. This General Association has its own objectives. It has three main focuses – Simmons College of Kentucky, which is now led by Dr. Kevin Wayne Cosby; the American Baptist Newspaper, of which I serve as Chairman of the Board; and the State Home Mission Board, which is led by Dr. Bernard Crayton. All three of the objectives are based in Louisville and the General Association operates a headquarters building near downtown Louisville, which houses the American Baptist Newspaper and the State Mission Board. Simmons College is located nearby on its historic campus. Our Moderator is Dr. A.E. Reid, who is completing his tenure of four years and he has presided in probably one of the stormiest periods in GABIK history. When he became Moderator, the Association had just suffered a schism over the issue of women and women in ministry, and frankly, operational issues. The issue of women in ministry has been a particularly thorny issue and it resulted in the formation of another, much-smaller group, which is mostly comprised of older pastors. Not only that, the Association was deep in debt, and many people wondered if Simmons, the American Baptist, and the State Home Mission Board would even survive. Working with Dr. Cosby, Simmons College has made tremendous strides and now is becoming a viable entity due to partnerships with the business community and the University of Louisville. Today, students can not only attend college, but the entrance threshold is accessible to low and lower income families. It still remains the training ground for young ministers seeking a career in full-time ministry. Dr. Reid’s love of our American Baptist Newspaper has kept it afloat. Under his leadership the last three years have been some of our best fundraising years and now we are preparing a transition to electronic media that will keep our paper cutting-edge. He has presided over a revamp of the State Mission Board, which for years was led by the late Dr. Robert Childs, who was also editor of the American Baptist Newspaper. Now a new group of pastors and leaders are seeking to serve Kentucky churches. Not forgetting that the State Youth Convention, the Youth Matter to Christ march, has its genesis under Dr. Reid’s tenure and the Youth convention pilot project is alive and well. For many of us, his greatest achievement will be the fiscal achievements. We met one year shortly after we were told of our financial condition and he presided as the body came together and made pledges and paid off the indebtedness of the General Association. This is not to say we’re rich. This is to say that as of today, we have no outstanding debts, no liens, no foreclosures, and we can say we are out of debt. Dr. Reid’s Georgia-Tennessee-Kentucky style is just what we needed at this time. No leader of any group has 100% support of everything – but he has been able to lead us across this chilly Jordan of a critical point in our history, brought us together, and has been an encourager, a father, and yes, challenged us to do better. He assembled around himself a “Moderator’s Team” which is almost the “Dream Team” of leadership. With the support of Dr. C.B. Akins, Dr. Crayton, Dr. Michael Rice, and Dr. Porter Bailey, he has covered the spectrum of age, experience, and successful pastoral leadership of these gentlemen that make us proud to be Kentucky baptists. Last year, for the first time in 147 years, a female, now sits in the Executive Board of leadership in the General Association. This is a great accomplishment and signals a new day in Kentucky. He has brokered peace between pastors and last year we had an historic “rap session” that allowed pastors of all ages to come together in a casual-free wheeling forum. Last night, a PACKED house of constituents filled the ballroom at the Hyatt Hotel to say “thank you.” I haven’t seen a denominational leader receive gifts from such a wide spectrum of supporters in my life. Dr. Reid, who has a larger-than-life personality mixed with the seasoning of time, has made him worthy and due of all of these gifts. Now that we are across this stormy sea, a new day is about to dawn in the General Association. Dr. Cosby will be making announcements tonight relative to Simmons’ future. We’ll hear Dr. Reid’s final address on Wednesday evening. And then on Thursday evening I hope to make some announcements regarding our newspaper. All of our announcements are made possible by the past support and vision of Dr. Reid. Thank you Dr. Reid and thank God for the General Association of Baptists in Kentucky. Where Are The Black Pastoral Bloggers? I’ve been “blogging” off and on for several years. Recently, I discovered a way to combine several of my enterprises, namely “Homegoing of the Saints” which puts a spotlight on those African-American pastors who go home to be with the Lord; the “Vacant Church List” which was the first listing for African-American Baptist pulpits online (and I’ve done it without charge or entry fee for years); and then I’ve put out several notices, etc. and developed a fairly strong following. Since being on WordPress since late last year, I’m approaching 250,000 visits. God be praised. In recent years other pastors have been regularly blogging – H.B. Charles, Jr. has an excellent blog and leans heavily on preaching themes. Dwight McKissic has an excellent blog as well and he “gets after” Southern Baptist Convention issues and is one of the leading SBC bloggers. Kip Banks, General Secretary of the Progressive National Baptist Convention recently started a blog and there are other brothers out there blogging – but to my knowledge, that number is less than 25. Shaun King’s Shaun in the City is one of those mind-stretching blogs and he is very transparent in his church planting saga. 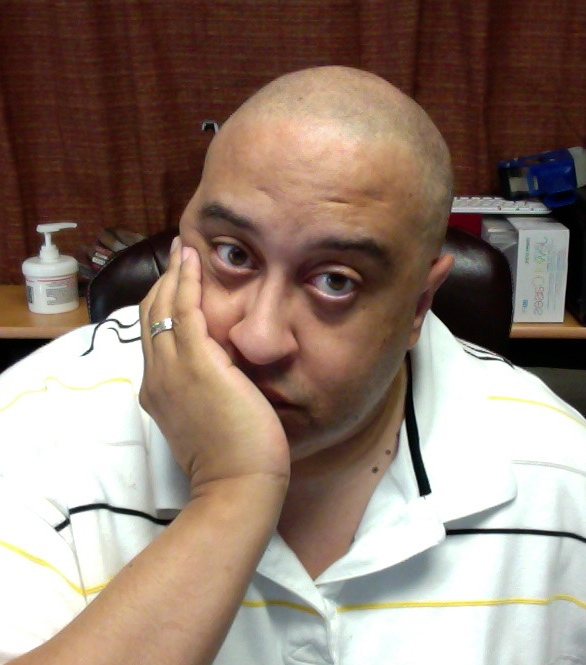 The purpose of this blog today is to encourage African-American Pastors to blog. Blogging is to participate in a form of social media that is more probative than a 140 word tweet or a quick flash on Facebook. It’s not expensive – there are free sites available and many internet providers are available so you can personalize the site even more with your own name (which I recommend). The diaspora of African-American pastors should be reflected in the blogosphere. Pastors who are in the rural parts of the nation, I believe, are just as significant in their struggles, triumphs, etc. as those who pastor mega-churches. Those pastors who came before us carried to the grave pieces of wit, wisdom and experience that I know would have been a blessing to this generation. You can participate. I would love to post and re-post articles that I’ve discovered from those of African-American hue. I think that our experiences are just as real and profound as MacArthur, Stanley, Piper, Stetzer and others. Matter of fact, I ran a search for “best pastor blogs” and maybe 1 or 2 blogs of people of color were even mentioned. It’s because we have a story to tell that we’re not telling. We have great minds, great talents, great experiences that should and need to be heard. I’m not a mega pastor. My congregation (on roll) is around 700 members or so. We don’t have one church in multiple locations. We have our issues like everyone else. But blogging for the pastor gives you a discipline in word construction, sentence structure, and analytical thinking that enhances your pulpit presentation. Trust me on that. Just a word of warning – blog but don’t vent. Never take to the national stage your local church issues. If “Sister Sally” is kicking your tail in business meeting, don’t make her a national issue. If “Brother John” just cussed you out last week, don’t make him a national celebrity. In other words, be careful what you blog about – if it’s murky to you – it may leave room for a church member to misinterpret what you were trying to say. I will make this promise to you – if you have a blog or know of a blog that will be helpful – I will make a link to it from my site – and if you have one, I hope you will do the same. One final word – this is not to demean other races – that’s not my purpose. My purpose in this fast-changing African-American led church, is to encourage pastors (not laypersons, not associates) but pastors to share their views. It is very rare that you sit in a movie theater and hear people – both men and women – openly weep. Tonight we went to see “Fruitvale Station” which struck an extraordinary chord on the heels of the George Zimmerman verdict. 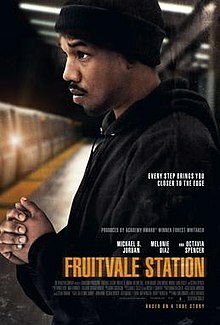 This movie written and directed by Ryan Coogler, a first-time filmmaker, is the true story of Oscar Grant, III (“The Wire’s” Michael B. Jordan) a 22 year old young man who was murdered by Bay Area Rapid Transit (BART) Police in the early morning hours of New Year’s Day in 2009. Oscar was coming home from enjoying the New Year’s Eve celebration with his girlfriend Sophina (Melonie Diaz), (who he was considering marrying). Oscar’s mother is powerfully played by Octavia Spencer, who carries the weight of the screenplay on her face. As the movie opens, the actual cell phone filming of his murder opens the movie and the remainder of the movie takes us back to Oscar’s last 36 hours of life. As the movie showed his murder by BART Police, there literally was not a dry eye in the house – from audience members – black and white. This movie won the Audience Award and Grand Jury Prize at the Sundance Film Festival and should be required viewing for all young people. Oscar’s struggle with his past and his decision to make the new year a time for a new start. I’ve read some of the reviews tonight, especially those from Geoff Berkshire of Variety and Scott Tobias of The Dissolve and it reinforces the fact that the so-called reviewing professionals may have been in too many dark theaters and miss what ordinary folk (such as myself) look for in a movie. This movie is not for entertainment alone – it’s for information, inspiration and it retells a story that many of us as African-Americans have heard too often – a loss of a young black man, with his whole life ahead of himself. This young man was not in the position that should have resulted in his death – but a police officer snuffed out the life of this young man, young father, and potential husband. Sadly, many of us who wept in the theater wept knowing that our young men are in an era where many of them won’t see full adulthood. They won’t see marriage and family and life . . . because they have a greater chance of being mowed down – whether it’s because of police action or community patrolman action or even by someone who looks like themselves. It’s a sad reminder that young black men who make it to 25 should be celebrated, make it to 30 should be applauded, and make it to 40 should be honored in these critical times. I encourage you to see this movie. When I left the theater I told my wife, “I felt like I’m leaving a funeral.” Profound movie. The Rev. Marion D. Bennett Sr., former Nevada assemblyman and defender of civil rights who marched with Martin Luther King Jr. during the 1960s and founded the first black Methodist church in Las Vegas, has died. The news of Bennett’s death came as a blow to those who knew him — from those who heard him preach about love and equality from the pulpit to those who were simply his friends. Bennett died of a heart attack at 2 a.m. Sunday, according to the Clark County coroner’s office. He was a three-term branch president for the National Association for the Advancement of Colored People in Las Vegas and a Democratic assemblyman from 1973 to 1983. He was born on May 31, 1933. He attended high school in Greenville, S.C.
Bennett, one of 11 children, struck out on his own after high school, earning a bachelor’s degree at Morris Brown College in Atlanta and a master’s in divinity at the Interdenominational Center in Atlanta. He even crossed the Atlantic Ocean in search for a greater understanding of God, studying at the Ecumenical Institute at Chateau de Bossey near Celigny, Switzerland. Bennett’s path led to Las Vegas, where, at the age of 27, he put down his roots. There he turned the Zion United Methodist Church into one of the most popular religious venues in town from 1960 to 2003, growing its congregation from 30 people to thousands. Then he was pastor of the Zion Independent Methodist Church. For more than 50 years, he served the poor communities in Las Vegas, talked openly about segregation amid racial tension on what was then the West Side, and the promise of desegregation in the early 1970s. He also established one of Nevada’s oldest and most inexpensive day care facilities next to his church. Wendell Williams, who beat Bennett by a mere 20 votes for District 6 seat in 1986 on the Democratic primary ticket, said Bennett was one of the most intellectually formidable candidates he had ever faced. “He’s always been a leader of the community, and the fact that he stayed here in Las Vegas, I think, is proof of just how valuable he was to the Methodist Church,” said Williams, 63. “Methodist preachers usually move around a lot, but not the Rev. Bennett. One such legacy is his daughter, Karen Bennett-Haron, who became the first African-American justice of the peace in Nevada. Bennett fought hard to get the Equal Rights Commission established in Nevada in 1973 when he was in the Assembly. The commission helped pave the way for black Americans to have an equal opportunity in life and in their careers. It was no mystery, then, that he won the post five terms, serving a total of 10 years. The Rev. Lance Chaney has left a legacy of service inBoynton Beach. Chaney, 56, of St. John Missionary Baptist Church died Sunday after a battle with prostate cancer. City officials say Chaney was more than a pastor — he was a civic leader and anti-violence activist who had an uncanny ability to bring people together. Chaney has helped thousands of families by opening Daystar Academy of Excellence, a public elementary charter school, and Pathways to Prosperity, a non-profit rehabilitation center. He also hosted several back-to-school-drives, parenting seminars, health-care screenings and was known for giving out free bus passes and scholarships. 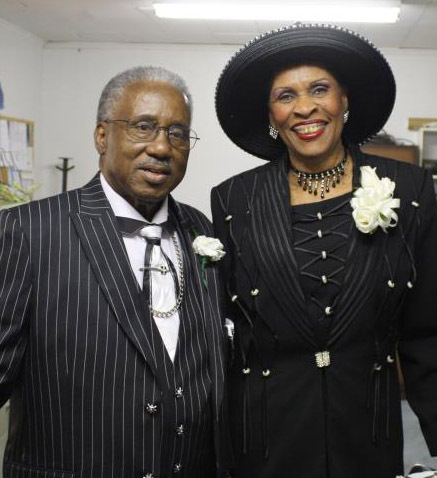 Hay, who has attended St. John Missionary Baptist Church since 1970, said Chaney will be remembered for his passionate sermons from the pulpit as well as his straight-talk from the dais. Chaney served as a member of the city’s Community Redevelopment Agency board until 2007, he was diagnosed with cancer a year later. Since Chaney came into the community 10 years ago from Illinois, city leaders say that Boynton is better for it. Rae Whitely of Boynton United, an anti-violence organization, said the group, which had 7,000 community members march against violent crimes in April of last year, wouldn’t be where it is today without the help of Chaney. Chaney was also a mentor to other clergy in the area. Pastor Nathaniel Robinson of the Greater St. Paul African Methodist Episcopal Church said that Chaney helped him and his congregation grow. Chaney came to the city after a nationwide search to find the next pastor for St. John after the former pastor had a stroke. Chaney was installed as a pastor on the church’s 94th anniversary. 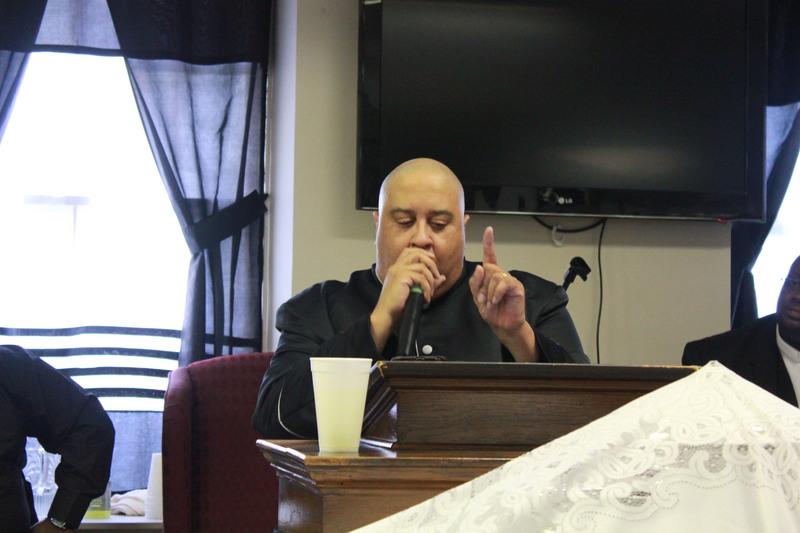 Reverend C.L. Buhl, pastor of the Zion Hill Baptist Church, Waco, TX and former pastor of the Greater Mt. Baker Baptist Church, Seattle, WA, has gone home to be with the Lord. He passed on July 14, 2013. Pastor Carl L. Buhl, Sr., 74, of Waco, entered his heavenly home on July 14, 2013, while in a Temple Hospital. Services will be 11 a.m. Saturday at Greater Zion Missionary Baptist Church, 2625 S. 18th Street, in Waco, with Pastor H.D. Debose officiating. A visitation and wake will be held at 7 to 9 p.m. Friday at Zion Hill Baptist Church on 2919 McKenzie, Waco. Please keep Dr. Buhl’s family and the Zion Hill family in your prayers. Recently I was made aware of a “movement” by some ministers following the tragic miscarriage of justice in the George Zimmerman case. Believe me, I am outraged, angered, shocked, as is most (not all) Americans. However, the stage and platform for the protest honestly has me scratching my head. The “protest” that is planned is to replace the traditional bread and wine (or grape juice) implements of the Lord’s Supper with Skittles and Iced Tea (or Arizona watermelon juice cocktail, which is what Trayvon Martin actually purchased) and serve it to the congregants of the church on first Sunday (or whenever communion is served in that local congregation). There is a video online (which I will not post here) that shows a pastor leading his congregation in such a communion. First, and I need to confess I am a Baptist minister – this goes against everything I’ve been taught since my first exposure as a child. The Lord’s supper is one of two ordinances of the church (the other being baptism). An ordinance is a law, or a specific command, which Jesus Himself instituted. Jesus clearly instituted this as an ordinance (law) and he prescribed the manner of it. He symbolically references the wine/fruit of the vine as His blood. He symbolically references bread as His body. Therefore bread = body and wine = blood. It is a law that even Paul says was passed down to him. 24 And when he had given thanks, he brake [it], and said, Take, eat: this is my body, which is broken for you: this do in remembrance of me. 25 After the same manner also [he took] the cup, when he had supped, saying, This cup is the new testament in my blood: this do ye, as oft as ye drink [it], in remembrance of me. Again, the emphasis on bread and wine and the law – we are to replicate this law until He returns. Secondly, the Lord’s Supper is not a protest. It’s a period of reflection and renewal of our relationship with the Lord. The Lord’s Supper is no more salvific than Baptism. Neither of these laws or ordinances create or cause salvation. However, the law is not for the unsaved, it’s for the saved. And the purpose of it is that we might remember and celebrate the sacrifice that was made for us by Jesus Christ. No one should misappropriate or diminish that sacrifice and The Lamb that was sacrificed for our salvation. I cannot celebrate at the Lord’s table, anyone else other than Jesus Christ. That’s why we don’t celebrate Paul, John, John Mark, Moses, Abraham, Isaac, Jacob, David, Solomon, Eve, Adam – or any other past biblical character nor any past historical or present celebrity – because this is a sacrifice that only Jesus Christ Himself made on behalf of humanity. The Lord’s Supper is THE LORD’s The Lord’s Supper. It has His blood-stained fingerprints upon it. It has His agony and sweat upon it. It has His pain upon it. It belongs to Him. Dr. Martin Luther King, Jr., Dr. Ralph Abernathy, and other civil rights icons did their protesting in the streets, not at the Lord’s Table. They met in sanctuaries to plan and execute plans, but they never misappropriated the use of the Lord’s table in such a manner that would leave any doubt as to who’s legacy we are focused upon and celebrating. The Lord’s Supper is not a protest piece nor is it speaking truth to power. It should be left alone. If you want to protest, do it at the ballot box. Do it in City Council meetings. Do it when it’s your turn to do jury duty and you accept it instead of weaseling out of it. Do it when it’s time to vote instead of not voting. But don’t create a manufactured protest out of that which is holy (set apart). Finally, I believe in the three factor. I believe that every Pastor needs to surround him (or her) self with three other ministers – one older than him, one contemporary, and one younger – for wisdom, fellowship, and to dialogue. Maybe the reason why Paul’s explanation of the Lord’s Supper is not being implemented is that a generation of preachers/pastors exist out there now that have never submitted themselves to or have rejected mentoring. 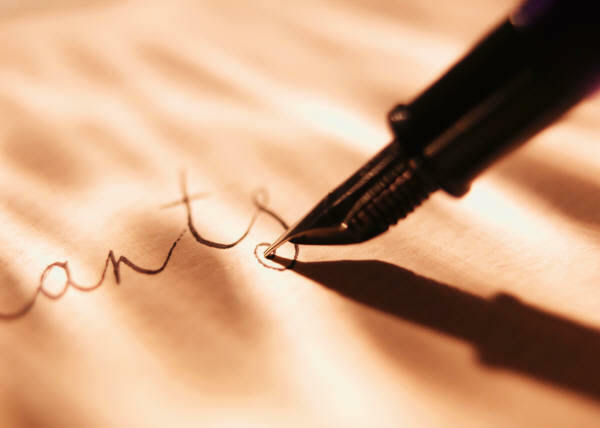 A term that was used in my younger days was “father in the ministry” and ministry, as my young factor suggested, was more of submission, instruction and of an apprenticeship. Now there are words used like “coverings” which suggest that if I can put on a cover, I can take it off as well. There are some things in the faith (I’m not talking about whooping or sermonic presentation) – but the tenents of the faith, the “mysteries of the faith” that have to be not only passed down, but respected. Maybe I’ve become a dinosaur in this new age, but I still believe that on a hill, far away, stood an old rugged cross, the emblem of suffering and shame. I still believe that He was laid on a cross and nails were hammered into his arms and feet. I still believe that He was lifted up between two thieves and that He was the sacrificial Lamb and that my sins were upon His shoulders. I still believe that He died for my sins. I still believe that He was buried in a borrowed tomb and early Sunday morning, He got up with all power in His hand. I still believe that the Word is true. I still believe that the Lord’s Supper is sacred and that Baptism is reserved for those who have expressed a hope in Christ Jesus. This is an EXCELLENT read and want to share it with you. Autopsy of a Deceased Church: 11 Things I Learned. I am now 40 days removed from successful cancer surgery. As part of my procedure, a two inch diameter of skin was removed from my right foot and replaced with a skin graft of skin from my right hip. I have been blessed beyond measure and you have no idea what it felt like to be back in the worship at the First Baptist Church and in the pulpit one more time. Prior to this surgical procedure I had a very busy schedule. I’m the senior pastor of a great congregation here in Northern Kentucky, I’m a member of one of the largest District Associations in Kentucky, I’m the State President of the Kentucky State Convention of the Progressive National Baptist Convention (PNBC), I’m Chairman of the Publishing Board of the General Association of Baptists in Kentucky, Member of the Full Gospel Baptist Church Fellowship and Board Member of the PNBC as well as their webmaster. I don’t list all of these for purposes of bragging . . . this story is going somewhere – hang on! As much as I’d love to give great attention to all of these responsibilities and keep up with my preaching engagements and calendars – right now, I just can’t do it. I feel like a frustrated prophet – I want to be there, I want to preach and preach and preach and preach . . . but there is something called common sense. I’m not out of the woods by any estimation. This surgery requires rest. I’ve actually stopped going to bed at 2 and 3 a.m. I’ve learned that I can’t eat on the run anymore. I’ve learned that I’ve got to slow down. I’ll let you in on a secret – my body will not give me any other choice. When my foot says “whoa” – it’s whoa. Today I had to call a son of FBC, Dr. William Calhoun, of whom we are all very proud. He was licensed and ordained here by my predecessor, Dr. K.L. Moore, Jr., and we serve together as members of PNBC. Months ago he invited me to preach for him on this coming Sunday at his church in Baltimore. Had the plane ticket, he had made hotel reservations. Baltimore/Washington is one of my favorite areas and I was looking forward to going to Largo, Maryland and dine at one of my favorite seafood establishments. Plus I love history and enjoy going to see the monuments and the Washington mall. But when we talked today, I had to tell him that I couldn’t make the trip. My foot is immensely sore, I still have an open wound on my foot, and I don’t have a lengthy timespan to be able to stand. When I preached at FBC on Sunday, I literally sat through most of the sermon (and oh yeah – you can be seated and preach). After worship, my wife and I hosted our graduates – from kindergarten to high school to trade school to college – at Hometown Buffet in Louisville. Since then, my foot has been killing me. It’s just 40 days from surgery. I’m trying to get in the swing of things again, but I realize this is not going to be a quick sprint – it’s going to be marathon and patience is required. I’m looking at my calendar and looking at several events upcoming – a district association, a general association and a national convention – and thinking if I attend, I’m not going to be there gavel to gavel – I need to take it easy. Pastor Calhoun made a common sense statement – “there will be another time.” That’s what my goal is – to finish this season with some common sense and be around for those “other times.” Cancer and Surgery is nothing to play with and I have to do what’s in the best interest of myself, my wife, my family, and my church family – and I can serve them best by exercising common sense.